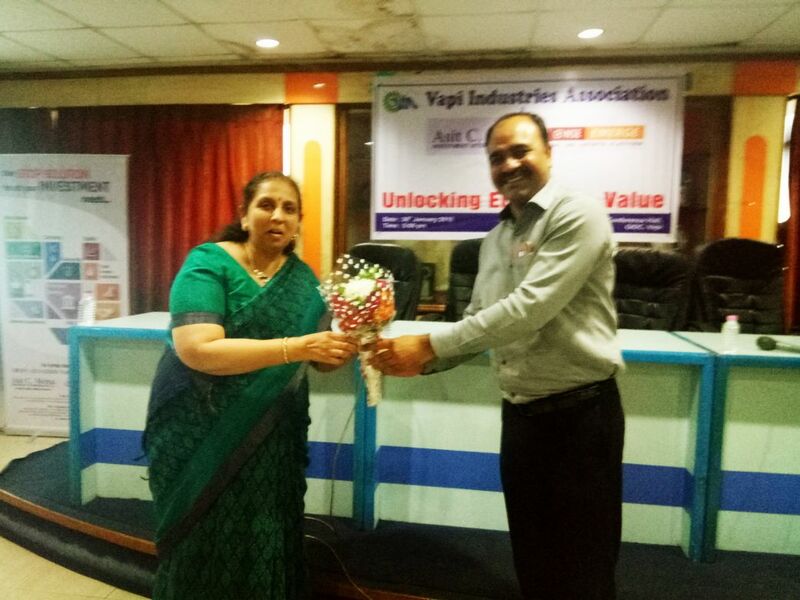 A seminar on Unlocking Enterprise Value was organized jointly with Asit C Mehta Investment Intermediates Ltd. & NSE Emerge on 30.1.2018 at VIA 2 nd Floor Conference Hall. 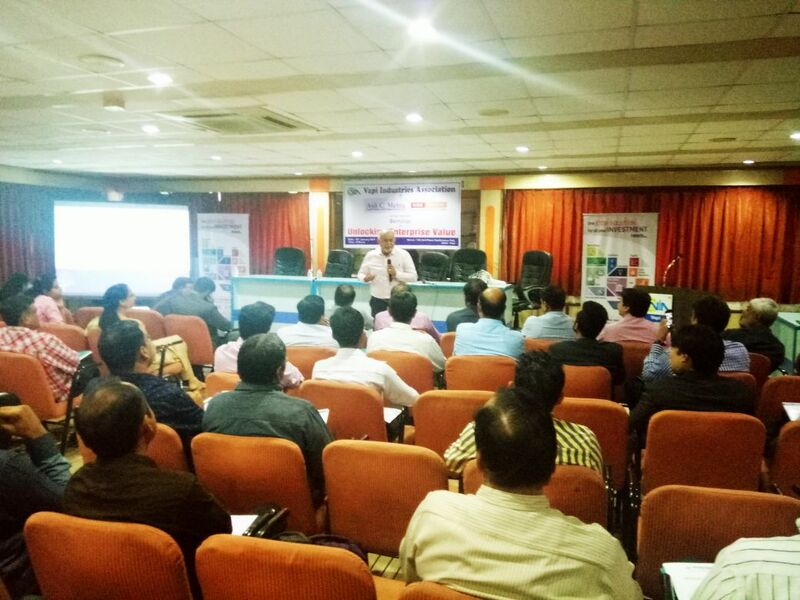 The seminar was attended by Shri Chandrakant Pandya, President, VIA, Shri Satish Patel, Hon. 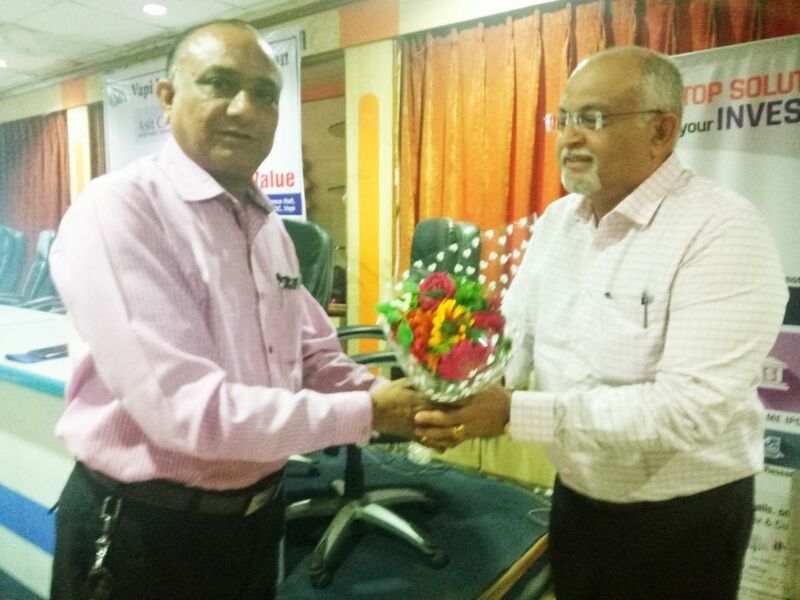 Secretary, VIA, Shri Hemant Pant, Chairman, Banking & Financial Committee, VIA, Shri Kaushik Patel, Jt. 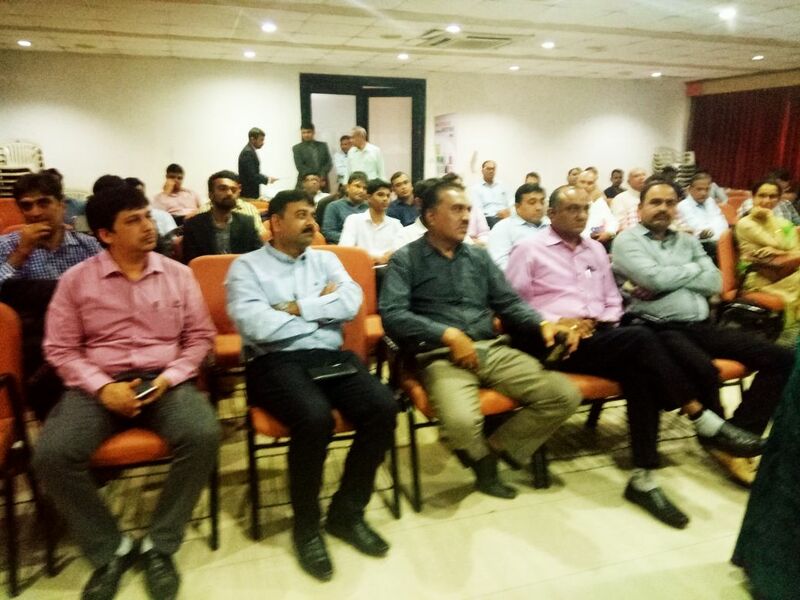 Chairman, GIDC, Committee and many executive committee members and members of VIA and many investment consultants and chartered accountants of Vapi. Shri Asit C Mehta, Smt. Dina Patel, Smt. Purvi Ambani from Asit C Mehta Investment Intermediates Ltd. and Smt. 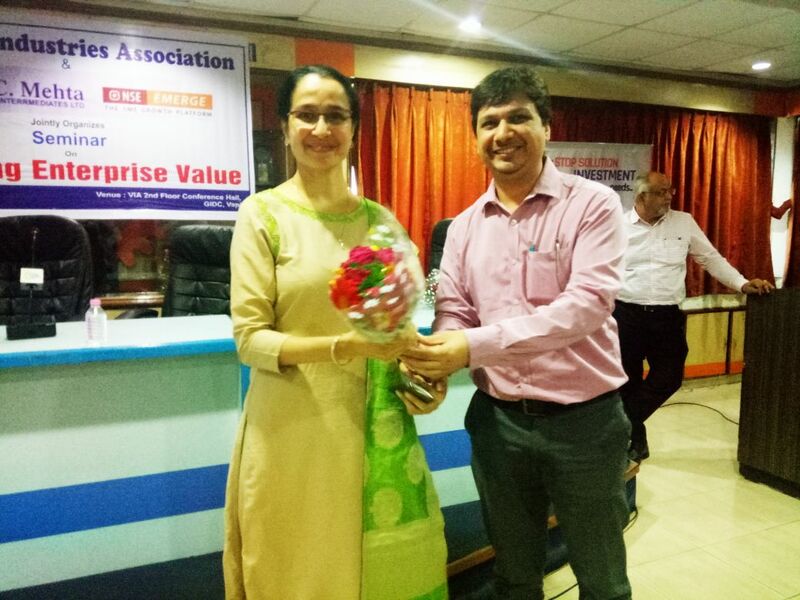 Rachna Bhusari from NSE has given their presentation and explained the procedures, criteria and advantages of SMEs to get themselves listed on National Stock Exchange. The seminar was well attended.